CER Cargo 753 609-7 at CZ LOKO's Česká Třebová plant on 28 March 2018. Picture by Dalibor Palko. 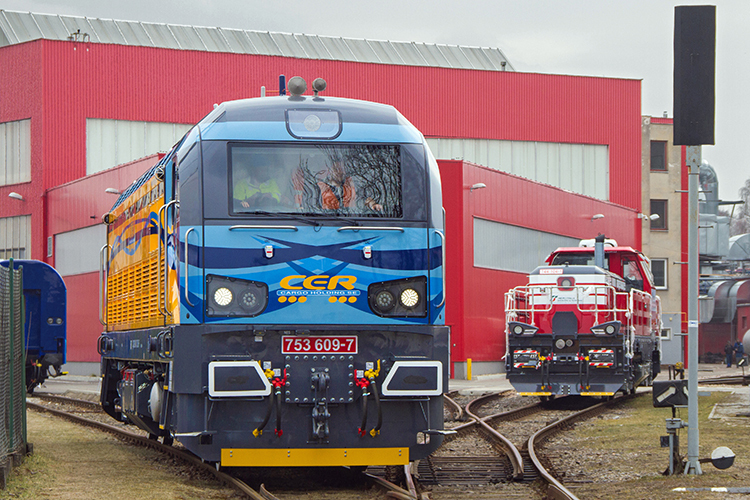 On 21 December 2017, CZ LOKO announced that it had received an order for one EffiLiner 1600 locomotive from CER Cargo Holding. The locomotive was ordered by the Hungarian company for its subsidiary CER Hungary. At the same time, CZ LOKO mentioned that negotiations were being finalized for the delivery of a second EffiLiner 1600 to CER Cargo Holding, but this time for subsidiary CER Slovakia.